Fiverr Discount Promo Coupon Code Watch — & Real Free Gig Guide! As the web is littered with fake coupon code sites/discounts and outdated advice — I decided to write my own guide. Explaining how to really get free gigs and how coupon code promotions really works on Fiverr. Hope this helps! Not registered yet? 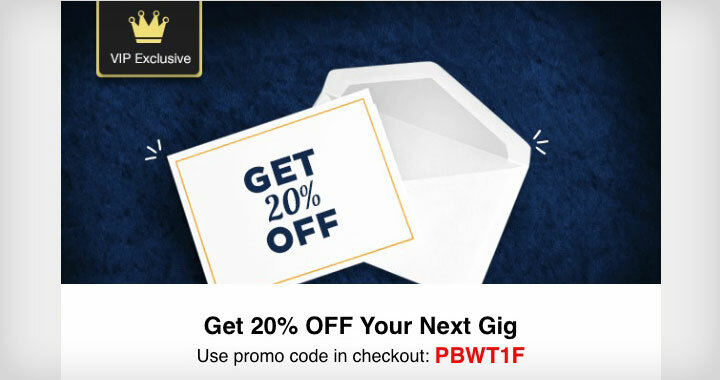 Use this link to receive a free gig voucher. 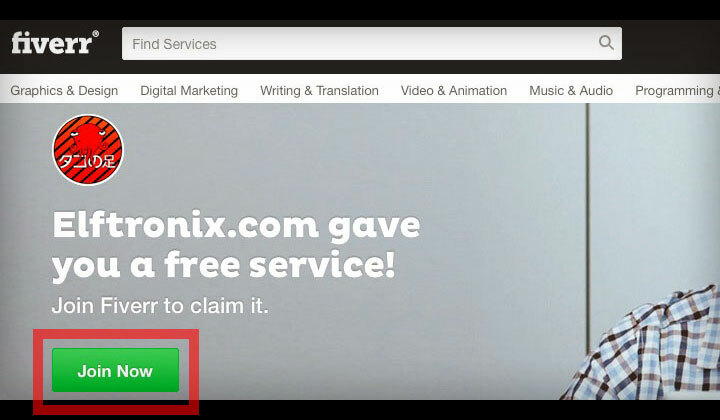 Fiverr has a fixed promotion to offer one free gig (worth $5) for every new account registration through a special referral link (see above). Also there is no requirement to spend any money on the site to use the promo — so nothing to loose. If you have already registered but haven’t verified your phone number yet. You could consider opening another account for yourself by using the promo link. I would suggest clearing your browser cache and cookies, as well as restarting your internet connection device to get a fresh IP address. A lot of sites are claiming that you can get unlimited free gigs. Fiverr is not stupid however and will not think twice to ban any suspicious activity. Yes — potentially you can register every family member through the promo link but before you do, consider these important points to avoid getting busted. Every account needs to be verified with a phone number — one that has never been used with Fiverr before. Verification takes place with a secret code sent by SMS. You need to clear cookies and preferably use another computer with another MAC address. This is to prevent registrations with the same device. You need a different IP address. Go to your neighbors house or use a dedicated IP — easy VPN connection to make it look like you are connecting from somewhere else. Ditching accounts that are constantly ordering the same gigs is a bad idea. Fiverr has automatic software to alert them to this kind of behavior. Play by the ‘rules’ and you can enjoy multiple free orders. But unfortunately unlimited free gigs is a myth or just not worth the trouble. Bookmark this page and check back for any possible promotional offers or discount coupon codes. As it stands until now — ‘promo codes’ are offered to mostly VIP customers only. The voucher is sent by email in the form of 20% off discounts to reward old customers or those who are heavy spenders on Fiverr services. Please note! —» Sites claiming to have public promo codes are fake and a waste of time. Check for active promotions on the official Fiverr Blog. “Pay with PayPal and get a 20% discount!” use code: “paypal2016“, — valid from September 18th to, at the earliest of, October 7th, 2016. 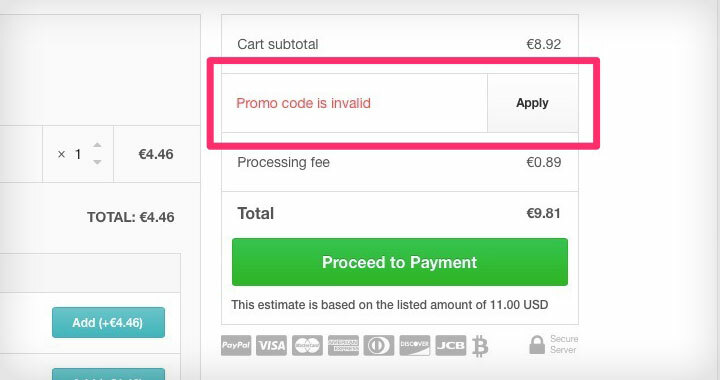 If you get the “Promo code is invalid” message — either it’s outdated as all coupons have their expiry date, or it’s also possible that the discount has already been used by someone as the offer cannot be shared. 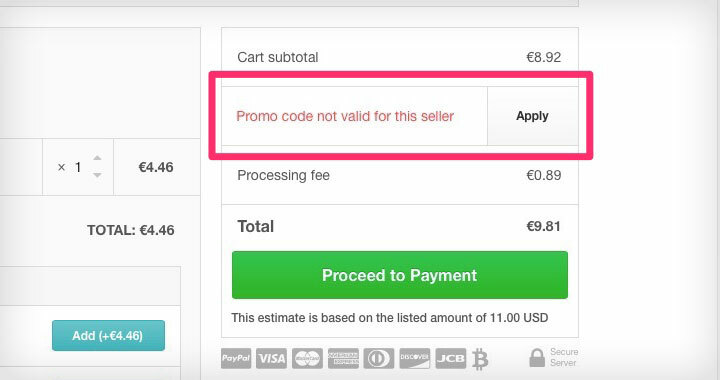 If you get the “Promo code not valid for this seller” message — there is an error or bug with your coupon. The message itself is not relevant. Fiverr suggests using Google Chrome and clearing your cache. If this doesn’t work you need to email the excellent and fast support team and they will refund the discount to your account after purchase. See below for detailed discussion with support staff. Me (Question): Recently I received a promo code for “20% off” through email but now when I try to apply the code during checkout, I receive the error message: “promo code not valid for this seller”. What does this mean and how can I use the code for my purchase? Thank you. Fiverr Customer Support (Answer): Thank you for contacting us today and your patience. Please clear your cache and cookies and try to use the promo code again making sure to use CAPS. If the code still shows invalid, please contact us again and we will gladly check further. Me (Reply): Thanks for the swift reply. I cleared the cache & cookies, restarted the browser (Safari) and logged in to Fiver again but still the same error message. I also tried another seller, and entering the code manually/copy pasted all in CAPS but problem persists. Fiverr Customer Support (Answer): Thank you for contacting us. I am sorry to hear about this. Could you please try the following: We recommend you to clear your cache and cookies and use Fiverr with Google Chrome. Please make sure your Adobe is updated and your network is working properly. Try logging in/out of your account and using it in incognito mode. If the issue persists, reach us back with the screenshots of the issue. Me (Reply): I’ve done all that now using Google Chrome and problem persists. I am sending a screenshot of the VIP reward email and error message in Incognito mode. Thanks. Fiverr Customer Support (Answer): Can you please advise which Gig you would like to purchase so I can look into this case further and see what solution we can find for you? We ask that at this time that you try and place the order and once you place the order we will then compensate your account for the amount you were supposed to have deducted from the 20% promo. Could you please send us the order number once the order is placed. I’ll update the guide as necessary, thank you. Don’t hesitate to leave a comment if any questions! & thanks for putting together the detailed info on Fiverr promotions!